The New Orleans Pelicans currently sit at 2-3 to start the year. Their losses are on the road to Memphis and Portland with one at home to Golden State. Their wins are both on road in Los Angeles to the Lakers and against the Kings. It’s still very early, but it doesn’t take you long to see that many already have ardent opinions on how this club is faring. Let’s try to simplify proceedings with some very early stats that we should be paying attention to as we move ahead in the season. Last season there was a clear plan to get the Pelicans to push the ball and take early and good shots in the shot-clock. 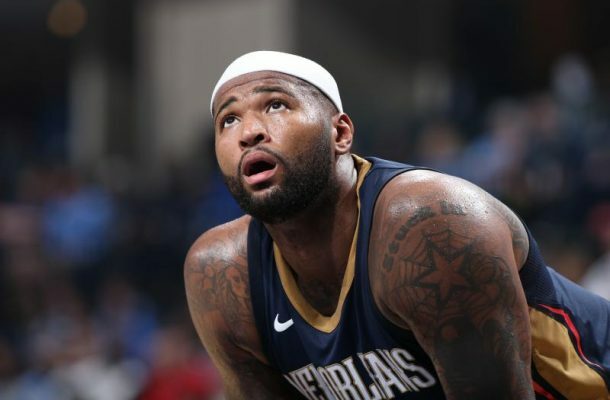 With some adjustments mid-season with the DeMarcus Cousins trade New Orleans ended up ranking 8th in the NBA. Things have continued into the 2017-18 campaign as the team currently sits at 9th this season with 101.4 possessions per 48 minutes of game-time. With Assistant Chris Finch coming in from Denver it was reasonable to expect this to slow some as the team tried to figure out how to run the offensive sets. However it is clear that this team intends to keep things quick, mainly when they get a turnover or a defensive rebound. Cousins and Davis have done a decent job of getting the outlet pass to a guard or moving the ball up the court themselves. This isn’t to say that the team doesn’t get bogged down in isolation ball for sustained periods of time. Often when they’re not getting steals or blocks their offense stops moving. The energy doesn’t seem up-beat. With Rajon Rondo to return soon it’ll be interesting to see if this pace continues considering Rondo’s experience in slow-paced offenses. Well, they’re actually tied with the Chicago Bulls with 6 injuries. But, once again the Pelicans are injured and no one is really all that shocked. At this point everyone has come to expect them and we’re all just waiting for the next one. No amount of knocking on wood will save this team. It’s no secret that Jrue Holiday is off to a very slow start to the season. When Rajon Rondo went down it was necessary for Holiday to move back to point-guard. This was never the plan when the Pelicans signed him to the $126 million extension. The team always wanted him to operate as the two-guard. Holiday will be paid $25,686,667 this season. If he were to be paid by the field goal, on his current pace, it would be costing the Pelicans $62,650 per field goal made. Just think of that every time he hits a shot. That just cost the team $62,650. Everyone is well aware of just how good DeMarcus Cousins is playing right now. Averaging 33/14/5 is no easy feat and that’s not accounting for the 2.8 blocks and 1 steal he has per game. But, what has been under-appreciated has been his ability to get to the free-throw line. Cousins has 58 free-throw attempts, 8 more than the next player Steph Curry (50). His 11.6 attempts per game well out paces his career average (7.6) so it would be reasonable to assume that he won’t be getting to the line as much as we move ahead. Cousins is still very much being aggressive, so Charles Barkley (who criticised Cousins for taking so many threes) probably need to pipe down a bit. With an offensive rebounding rate of 23.2% the New Orleans Pelicans rank 15th in the NBA. This far out-performs last season’s dismal mark 18.5% (which was lower for much of the season). The Pelicans are making a more concerted effort to grab offensive rebounds. However, it has come at a cost as New Orleans ranks 25th in opponent fast-break points allowed (14.8 per game). Last season the Pelicans ranked 16th giving up 13.6 per game.